Do you think the manual methods for importing PST files to Office 365 (Network Upload method, Drive Shipping method, and Import using Outlook) are very complex? 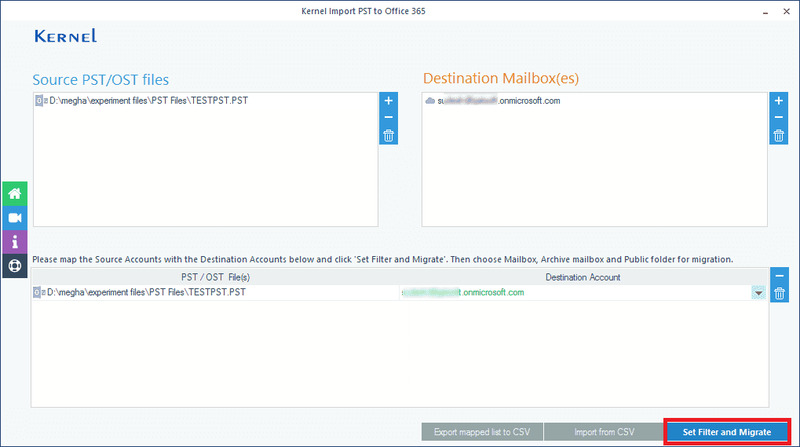 Then you need a simple tool that can import PST files to Office 365 mailboxes - Kernel Import PST to Office 365. 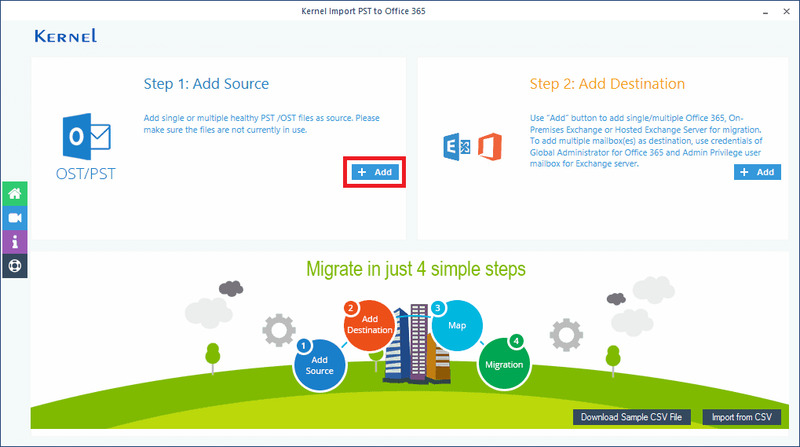 Step 1: Launch Kernel Import PST to Office 365 tool. In the home page of the tool, you can add the source PST files and destination Office 365 mailboxes (manually or using a CSV file). Step 2: Select Office 365 mailboxes to map them against the PST files. 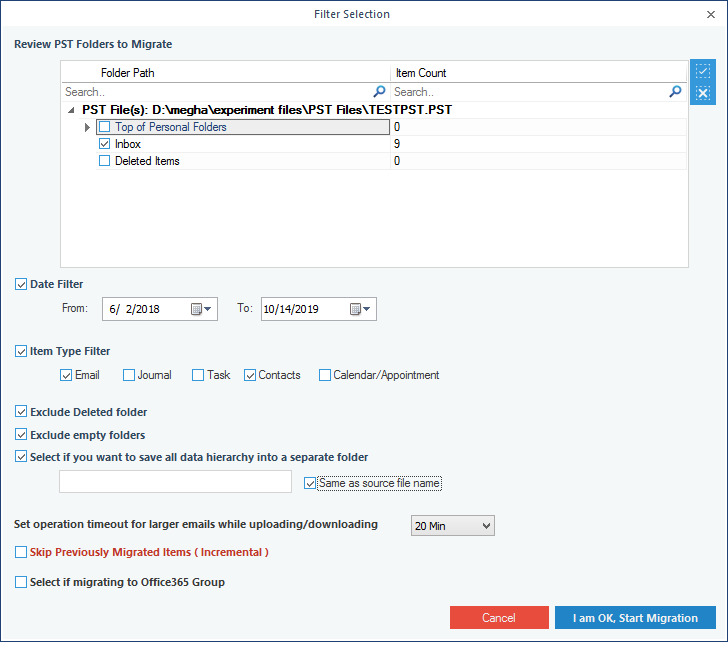 Step 3: Select the required filtering criteria (Folders, Date, & Item Type), exclusion options (Deleted folder/empty folders), and other options (Hierarchy migration/Archive mailbox migration). 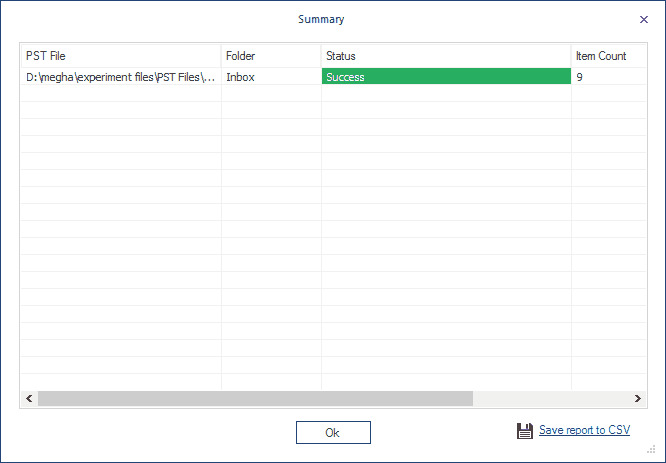 Step 4: After successfully importing PST files to Office 365, you can save the report to a CSV file. Manual methods to migrate PST files to their mailboxes are difficult. 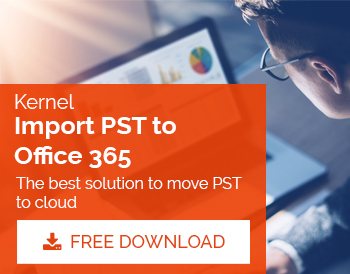 That is where Kernel Import PST to Office 365 comes into picture with its phenomenal features. With its user-friendly interface, the tool helps both technical as well as ordinary users to import PST file data easily to Office 365.